GET PAID TO BUY A HOUSE!!! The most important advice we can give a Buyer these days is to take matters into your own hands. Don’t let your agent be the only one to decide which houses you look at. Search all the web sites such as Realtor.com, Zillow, and Trulia to find properties that you want an agent to show you. These days most all homes for sale and the due diligence info you need to check them out properly is right at your finger-tips, so you really need to do your homework. Our #1 goal is to find you the house you want and that takes a lot of input from you. Hire a professional broker and investor to represent you and actually get paid to buy a house. 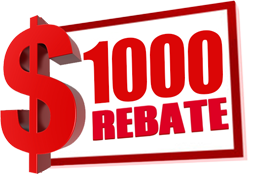 If you choose Discount Realty Florida to represent you when buying a home, we will rebate you $1,000 of the commission we are paid at closing. YOU ACTUALLY GET PAID TO BUY WITH US!!! DRF is directly affiliated with Martin Realty Advisors, LLC, a fully Licensed Certified General Contracting firm with more than 20 years’ experience in the real estate investment and construction industries. Most Buyer Agents do not have this type of experience or knowledge. We look at structures much differently since we have purchased, built, flipped, leased, remodeled, and sold hundreds of properties over the years. If we observe issues, AND WE KNOW WHERE TO LOOK, we will not hesitate to inform you. We negotiate your deal like it is our own and strive to not only find you the perfect home, but professionally and aggressively assist you in the purchase of a solid asset that is intended to also provide a return on your investment! Call us and let us represent you when buying a home and GET PAID TO BUY!